We’re excited to announce our newest C2C CAL! Since launching our Big Bang Theory C2C CAL in 2017, we’ve received numerous requests for a Once Upon A Time CAL. 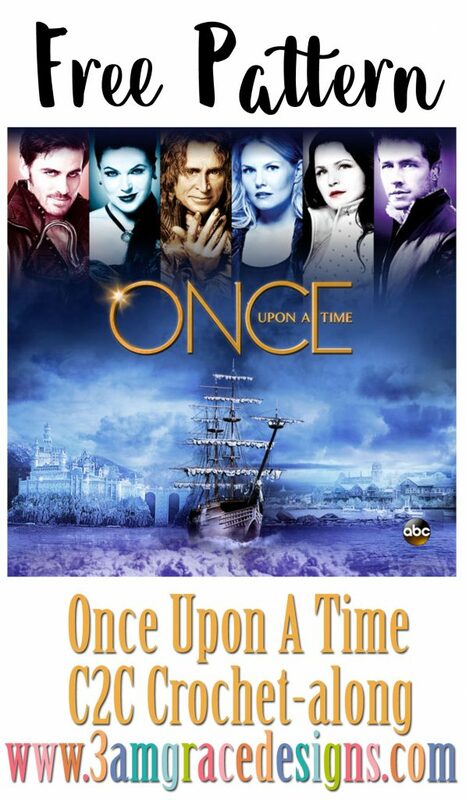 We’ve been hard at work designing a 15 week Once Upon A Time inspired blanket. The Supply List will release next Thursday, 10/25/18 and our project will officially begin the following Thursday, 11/1/18. My grandchildren love your Kawaii Cuddler patterns. Thank you so much for sharing them free. You are very welcome! We’re so glad they enjoy them! Oh my good gravy!!!!! I am soooo excited. I absolutely love love this show. I can not wait. Thank you so much. Is there a picture of the finished CAL? Otherwise how do we know what it will look like??? This is a Mystery Crochet-along. The panels are a mystery each week. Wonderful. Looking forward to it. We’re so glad! We’re excited too! You can do this CAL in any manner you choose – that’s the beauty of crochet! We’ve had people use single crochet, bobble stitch, and even cross stitch. I’m not too good at C2C. Do you think this would be to advanced for me with the color changes and all? Hi Melanie! C2C isn’t difficult – it’s just different. If you can do HDCs, you can do C2C. We have a selection of How To Videos to help you! 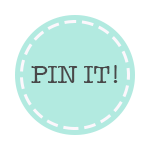 We also have a Facebook group with almost 10k helpful crocheters to help if you get stuck. Im not sure if I’ll be able to keep up with this. The holidays are too close. But, I am hopeful. Lol. Love this show. Never any pressure to keep up. Just have fun! 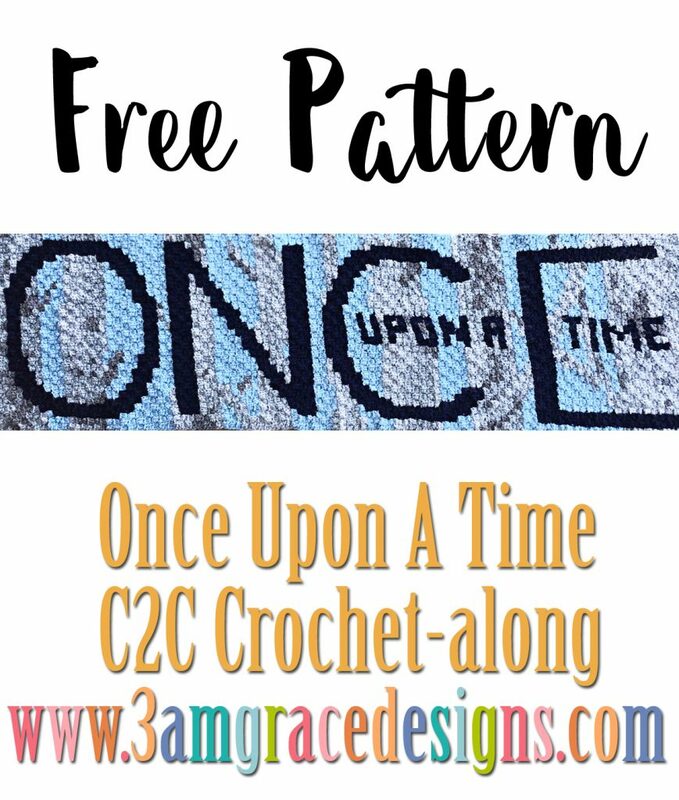 Here’s a link to the OUAT patterns. It will be updated each week. Is that last green 3, should it be green 4? Thank you! We’ve updated the PDF.